Make something that floats? Okay. Whatever floats your boat! 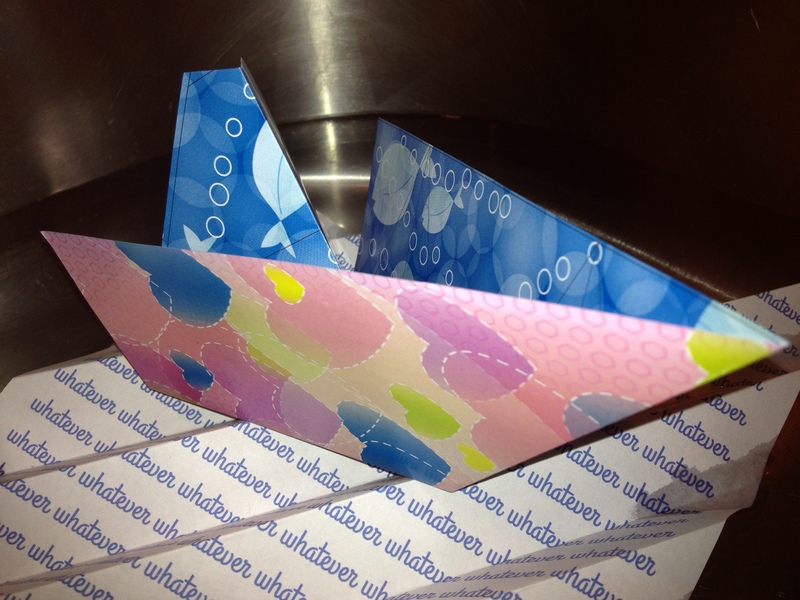 Origami boat on accordion-folded wax paper + plain paper printed with repeated pattern of “whatever.” Floating in my kitchen sink. There you have it.